Let your kids take their VBS experiece home with them. These fun Music CDs will have your kids singing along to their favorite VBS songs all year round! 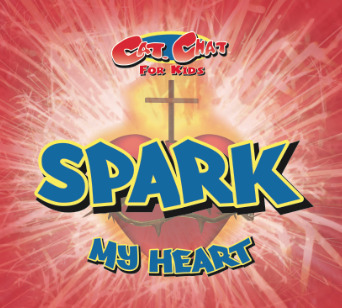 12 NEW captivating and high energy Cat.Chat songs that will inspire kids and parents to become all that God has called them to be … ….plus 3 Bonus VBS Songs from Cat.Chat's Radical Ride Vacation Bible School! Featuring “Pure”, a song about purity, “Rise Up” a powerful song about anti bullying, “Immaculate One” a beautiful Marian song, “I Will Win” about self-control and many more. "Filled with upbeat songs that communicate the basics of the Faith in a simple way, this album will have parents singing along too." Patrick Fletcher, Senior Adviser for Theology and Social Doctrine, Canadian Conference of Catholic Bishops. 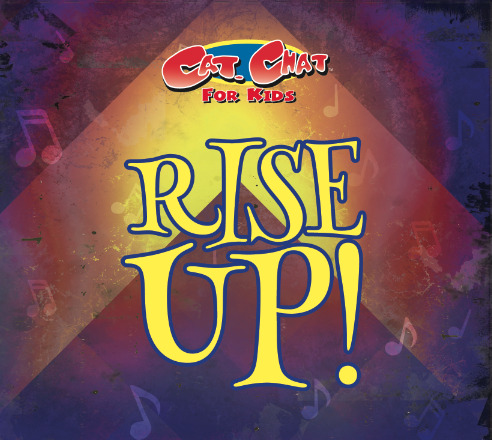 12 NEW Cat.Chat songs for kids and families, plus 2 bonus songs from Cat.Chat’s Radical Ride VBS. These songs are sure to 'Spark' the hearts of kids and their parents. Featuring “Life Is Great” a beautiful pro-life song, "God Is Here" a song to help conquer fears, and many more powerful songs that will engage kids and parents in the Catholic faith. “Cat.Chat is a gift to families throughout the world who value fun and faith. The message and music is energetic, inspiring, and empowering.” Jeff Lockert, President at Catholic Christian Outreach Canada. 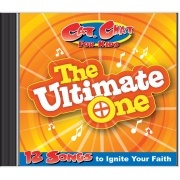 Spectacular Cat.Chat songs are featured on this CD, including "The Ultimate One", "Celebrate Jesus", "G.O.D." and more! Plus, you get all 12 sing-along tracks too, so you can karaoke till the cows … er, um … cats come home! "WOW! These Cat.Chat songs are incredible! 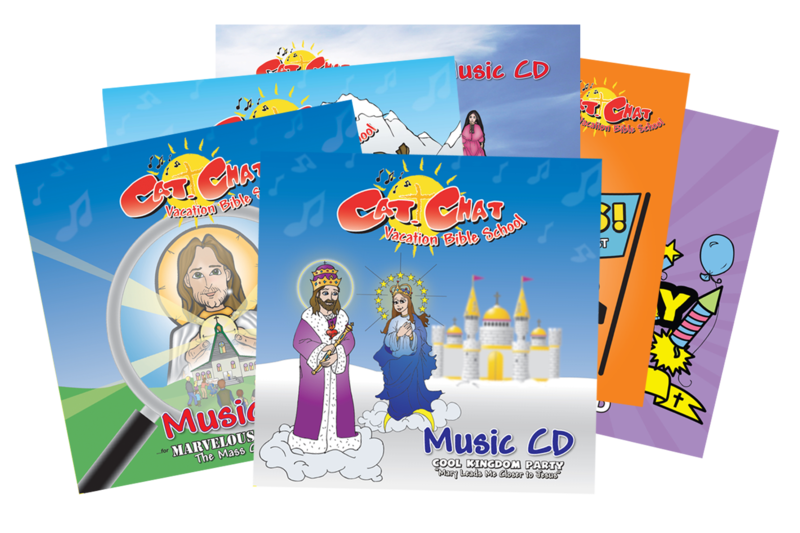 We love ’em!” Nancy S.
A 6 CD Series that features a mixture of well-crafted Catholic Kids Music , amazing stories , intimate prayer, and cool conversations that captivate the child’s listening ear. Besides the songs, each CD features Moses the Amazing Talking Cat, Papa, Josh, Hannah and special guests. When kids listen to Cat.Chat, they will receive an unforgettable experience that will have them asking for more. This exciting 30 min. audio show will captivate and educate KIDS on the theme of Mary, the Mother of God. Join Papa, Josh, Hannah and Moses the family cat for an amazing time of faith-filled stories, great songs, inspiring conversations and prayer. "I was introduced to these CDs by a friend and now have 3 of the series. This one has great songs and they spoke to me, even as an adult. I highly recommend them to anyone looking for quality, Catholic material for their family to listen to. We especially enjoyed them on long car drives." Mike F.
Join Papa, Josh, Hannah, Moses, and cousins Sarah & Jesse for a fun filled camping trip in the second volume of the Cat.Chat series! KIDS will learn all about prayer and the importance of having Jesus in their lives. So get out your camping gear, pop a marshmallow on your roasting stick and enjoy Jesus In My Heart. Papa, Josh, Hannah and Moses are hosting an All Saint's Day Party! Join in the fun with their friends …and Rocko the dog … and learn about our Guardian Angels, St. Francis, St. Joseph, and more! Find out why we ask the Saints to pray for us and why we give them honor. All this and more in this fantastic volume! The central celebration of our Catholic faith is the Eucharist. When we go to Mass, we actually get to witness the miracle of bread and wine becoming Jesus' Body and Blood, just like at the last supper! It's time for the Great Annual Catholic Family Conference: listen in and have the Mass come alive! "They insist on listening to it over and over again. And they are retaining some of the vocabulary and concepts about the Mass because of the CD." Jen V.
You'll want to celebrate Advent & Christmas all year long with the songs and stories of this volume. Papa, Josh, Hannah and of course, Moses 'The Amazing Talking Cat' visit Grandma & Grandpa on the farm for the holidays. Moses meets Sneak 'The House Mouse' and together they discover the true meaning of Advent & Christmas! "This is the 1st one of this series we have listened to. My kids LOVED it! I will be looking to buy more from this series in the future. What better place to learn about Lent & Easter than in the Holy Land! Travel with Papa, Josh, Hannah, their cousins, & (of course) Moses the Amazing Talking Cat to Jerusalem where you'll learn about the VERY FIRST EASTER! "My kids request this all year long!" Tara S.
Purchase the Complete Audio Drama CD Series Pack and Save BIG!